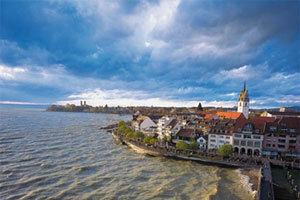 On the shores of Lake Constance, Friedrichshafen Airport is strategically located to serve four countries. The combined wealth of southern Germany, Austria, Switzerland and Lichtenstein provides ample opportunities for successful route development. 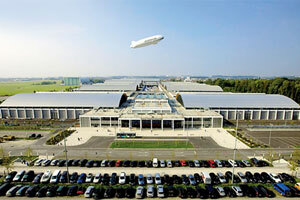 'We live the future': Friedrichshafen has long attracted visionaries and has rich history of progressive thinking, with both Count von Zeppelin and Claudius Dornier achieving significant technological landmarks. Today, their legacy continues to attract thousands of tourists every year. Friedrichshafen Airport is the gateway to four countries (Germany, Austria, Switzerland and Liechtenstein) with one of the most profound and wealthy catchment areas within Europe. 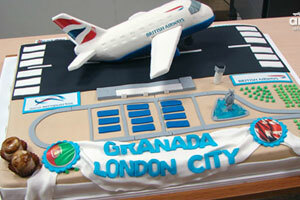 Weather independent operations to/from FDH (2,354 m/45 m runway with CAT IIIB Anti-Skid Surface). 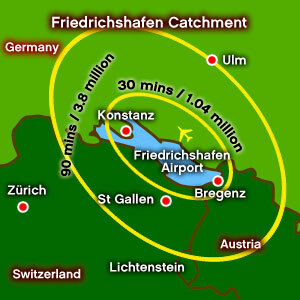 Catchment area includes 3.8 million inhabitants within a 1.5 hour distance, spread across Germany, Austria, Switzerland and Lichtenstein. 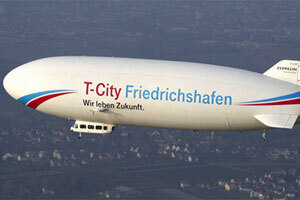 One million passengers in 1.5 hour catchment, up to 26% premium traffic (MIDT data). Strong economy due to small and medium size enterprises and multinational corporations such as EADS, MTU, Tognum, ZF, Liebherr, HILTI, helvetia, Zumtobel, Doppelmayr and Wolford, located in the area. 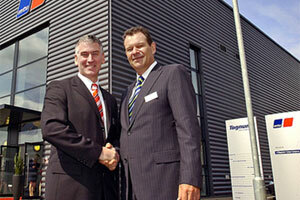 More than 69,000 enterprises in the region. Full employment: 2.4% unemployment rate. The airport is the gateway to the main ski and recreational areas in Germany, Austria, Switzerland and Lichtenstein – close to 50 main ski resorts. 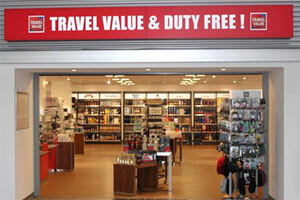 Ski Resorts such as St. Anton, Lech, Flims/Laax, Davos, Klosters are within easy reach of the airport. 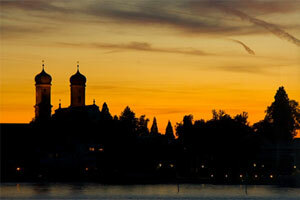 Summer resorts and golf courses such as Bad Waldsee, Lenzerheide, Rankweil are within driving distance. 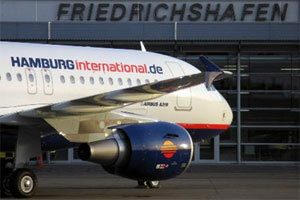 Friedrichshafen Airport offers incentives to new entrants who can fill gaps in the current route network. Interested airlines should note the Lake Constance regional GDP is slightly larger than Finland's! Marketing and other support information upon request. 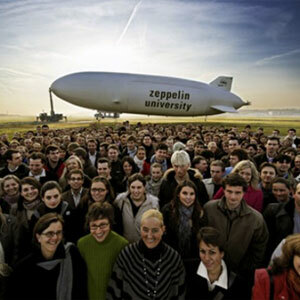 Germany's top-ranking, research-oriented Zeppelin University is located in Friedrichshafen, contributing to the region's innovation pool. 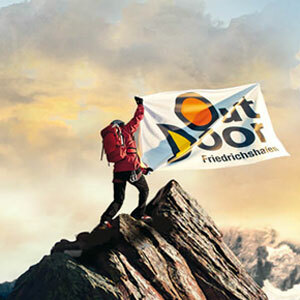 Mobility is also Friedrichshafen's trademark in other ways – as a major hub for outdoors lovers. Austria has strong potential with demand centred around the far west part of the Country, Bregenz and its immediate vicinity for instance. Age spread: 14.2% below 15 year; 30.1% between 15 and 39 years of age; 36.3% between 40 and 65; and 19.6% are older than 65 years of age. 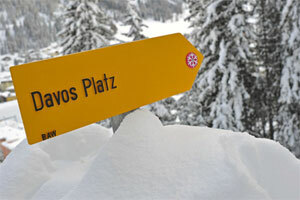 Ski Resorts in St. Anton, Lech, Flims/Laax, Davos, Klosters are within easy reach. 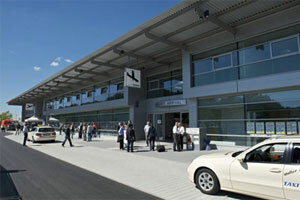 Summer resorts and golf courses such as Bad Waldsee, Lenzerheide, Rankweil are within driving distance from the airport. 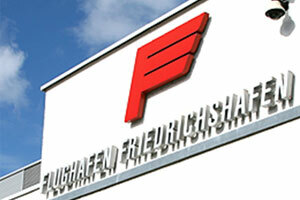 High-tech, high value: Friedrichshafen is well known for being home to R&D and manufacturing. 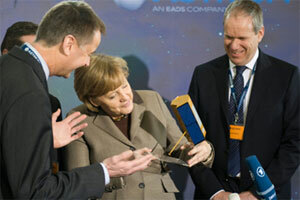 EADS Astrium develops and constructs satellites, while MTU focuses on diesel engines. 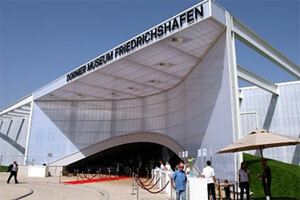 The 85,000 meter exhibition centre next to the airport helps boost trade. 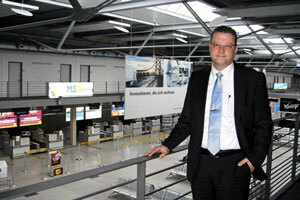 Innovations that count: Friedrichshafen Airport opened a new terminal in 2010 capable of handling 1 million passengers, while summer 2012 saw Gerold Tumulka take over as the airport's new CEO, bringing a wealth of air transport expertise. 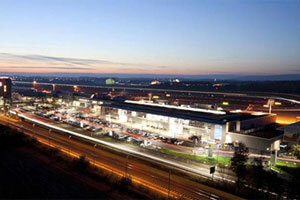 Brand new terminal opened in September 2010 with a capacity of 1 million passengers per annum. Train station at the airport – local, regional and interregional trains running to Friedrichshafen, Ravensburg, Ulm, Basle and Lindau (connections to Austria). Local and regional busses from the airport bus stop. All major rental car companies. Taxis to surrounding cities and shuttle busses to the ski resorts.